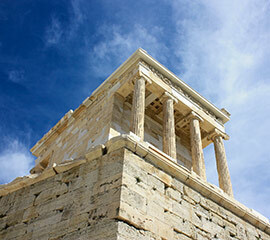 The Acropolis and the Parthenon is the image that most people will conjure up when thinking about Athens. It is the highlight of the ancient city, and a place that virtually every traveller will visit during their time in Athens. 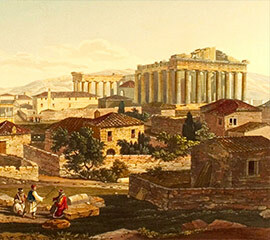 The Acropolis of Athens is the hill, which literally translates as meaning the “highest point of the city” – with polis being the word for “city” and agro being the word for “high”. 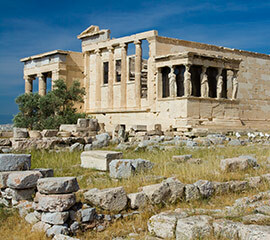 Athens wasn’t the only city in Greece with an Acropolis, but it is certainly the most famous one. 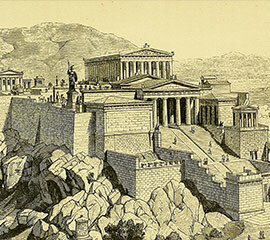 The Parthenon is the dominating temple built on the top of the Acropolis dedicated to the goddess Athena, whom the Athenians considered the patron of the city. This stunning structure is something you need to see with your own eyes to realize the magnitude and craft that went into its construction. 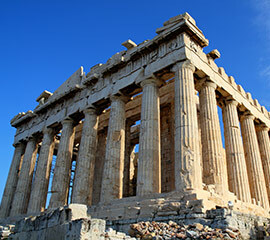 The Acropolis and Parthenon should be on the “to see list” of every visitor to Athens. It is located right in the centre of the city and is very easy to reach. There are a number of Metro stations around the Acropolis that you can arrive at, and from their you will take a short walk to the entrance, which is located on the west side of the Acropolis, a short distance from the Areopagus, also known as the Hill of Ares. The nearest Metro station is “Acropolis”, and upon exiting the station you will follow the path next to the south slope and head westwards. The other stations are Monastirki and Thissio, and from these you will either pass through or around the Ancient Agora and the district of Plaka, and then head towards to the entrance. 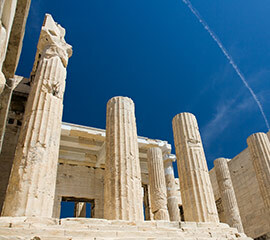 If you are travelling to the Acropolis from the Athens Airport, then you will be able to take the Metro which has a connection from with the Syntagma station. From there you can switch trains and take the short journey to Monastriki station. The total travel time from the airport Metro station to Monastriki takes around 45 minutes. You can purchase your tickets to the Acropolis from the ticket office that are located opposite the entrance to the site. 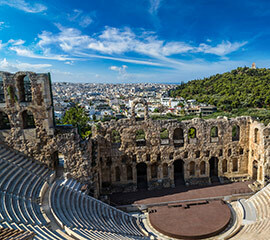 There are two types of ticket you can purchase, the single entry ticket, which gives you access to the Acropolis and the North and South slope. This ticket costs €20, while there is a reduced rate of €10, which is for Greek and EU citizens over the age of 65, students and parents escorting their children on school trips. 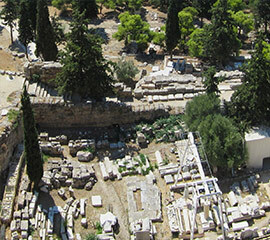 There is also the Multi Ticket which is available for €30 (€15 reduced rate) which also allows access to other archaeological sites in Athens include the Ancient Agora site and museum, Kerameikos site and museum, the Roman Agora, Hadrian’s Library and the archaeological site of Lykeion. This multi ticket is valid for 5 days, and should be more than enough time for you to visit these unique sights and attractions in the city. 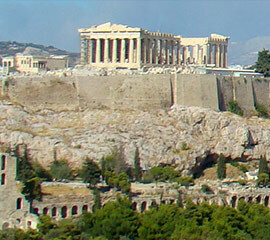 There are also several days in the year where there is free admission to the Acropolis. These are 6th March (in memory of Melina Mercouri), 18th April (International Monuments Day), 18th May (International Museums Day), the last weekend in September (European Heritage Days), 28th October and then every first Sunday from 1st November to 31st March. 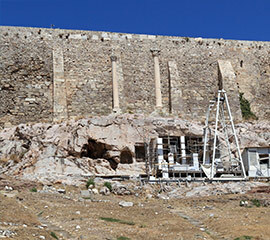 Visiting hours to the Acropolis are from 08:00 through to 20:00. If you are visiting during the summer months, then it would best to avoid the hours between 11:00 to 13:00 when the sun will be at its strongest, as there is very little shade on the top of the Acropolis. Once most people have been to the top of the Acropolis, they usually make their way north turning right at the exit, heading to the Plaka and Monastiriki districts. However, it is the South Side of the Acropolis that should definitely be visited when you make your way down from the Acropolis, as it is here where you will find more ancient sites of interest. It was in ancient times that the south side of the Acropolis played a huge role in the spiritual, artistic and religious activity of the city. The Agora was the democratic centre of Athens during these times, whilst it was on the Southern slopes of the Acropolis that ancient tragedy was born. 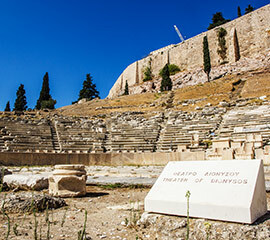 One the south slopes, you will find two very important theatres, which date back to the 6th Century B.C. These are the Theatre of Dionysos and the Odeon of Herodes Atticus, which have been at the intellectual heart of Athens since those days. Located just across the “Theatre of Dionysos” is the Acropolis Museum, so make sure you also pay a visit to this stunning museum, and see all the beautiful exhibits and displays featuring priceless artifacts from the Parthenon and Acropolis. 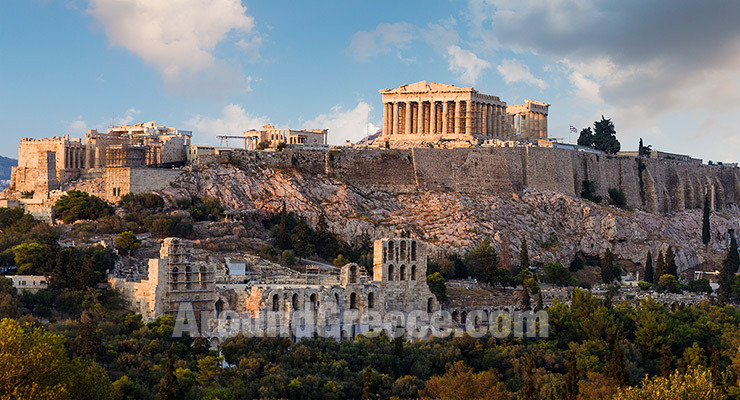 The Acropolis is a truly unique part of Athens, and around this stunning site are lots of hotels where you can find stay. 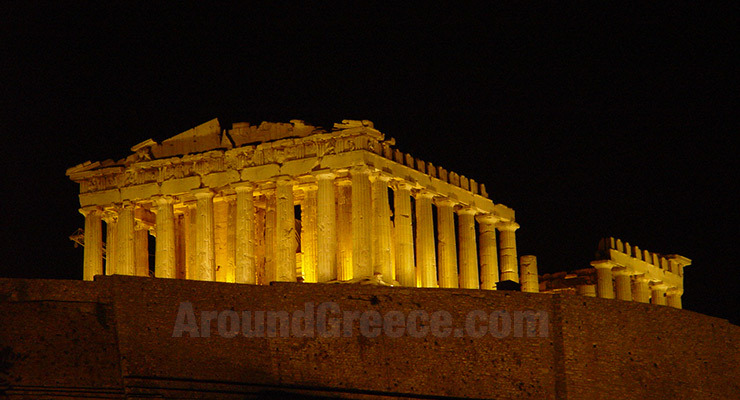 The allure of staying at a hotel near to the Acropolis is that it will be within very easy walking distance, and also gives you the chance to see it during the night, when it is beautifully lit up. You'll be able to find various types of accommodation around the Acropolis is districts including hotels in Plaka and hotels in Monastiraki, both of which are literally right under the Acropolis. If you are lucky enough, you might also find that your room has a view of the Acropolis and Parthenon. If you don't mind a short walk from your hotel to the Acropolis, then you should also consider staying in or close to Syntagma, Psiri or Koukaki.